We examine in depth your Conscious Inner Aspect and Field, as well as your energetic System of Emanation. Welcome to Workshop Eleven of the ONA Workshop Series. In this workshop, we will study Emanation, the Eleventh principle of ONA and the principle that underlies your Eleventh Field and Inner Aspect (Conscious), and System of Emanation. How to meditate using the Breathing Technique of Emanation. In this breathing technique we will stay focused on the present moment. This is the process of being truly connected with this universe. The "anointed" means the chosen. You have been chosen and have chosen as well this healing path that you are on. It includes your individual self and the greater you that transcends the physical and is immortal. There are only two parts to the breathing technique. 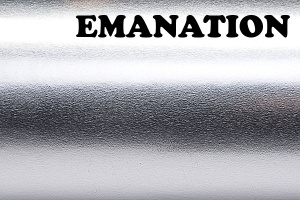 All about the color of Emanation (ultra-violet B, or silver if that&apos;s easier for you to picture). The true color of System Eleven is Ultraviolet B, in the range of 315 nm—280 nm. This is the wavelength responsible for the formation of Vitamin D on the skin, and for tanning. It isn&apos;t directly perceptible by Human eyes. So we represent it here as Silver (which, in true Crayola fashion, we shall deem a "color"). The &apos;sound&apos; of Emanation and how to use it. This sound is the sound that evokes a sense of being provided for as well as knowing that one is provided for. It also initiates the user with a sense of being willing to provide any number or quality of solutions or what is requested. This process is the cycle of renewal and the energy of being renewed and renewing is very present in the use of this sound. How to place yourself in the world as an Energy Being. This healing technique is all about that and it may be one of the most important ones for whereever you are living. You can apply this to issues, people, places and circumstances that need to get a shot of universal truth and light! Be the good light bearer that you are and use it as frequently as possible. How to practice the Serving Wholeness Technique. How do you serve yourself and your goals in your life and how do you best serve others? This is one of the most powerful questions and its answer is one of the most intriguing statements of these times. When you are aligned with your personal power and your purpose, you gladly serve in all these capacities to the fullest. Becoming aligned in such a way requires nothing more than finding your primary purpose in this lifetime and aligning all other things in your current life to it. Sounds simple yet for millions of people this seems most complex due to what they have created as to who they think they are. Yes, it is that age-old personality, the created self that stands before you smiling eagerly and saying, "I donâ€™t want to do that!" The personalities that you create for ourselves, remember, are made up from a complex of various components and emotional and attitudinal actions that are taken to show self and others who you are and what game you are choosing to play in this life.